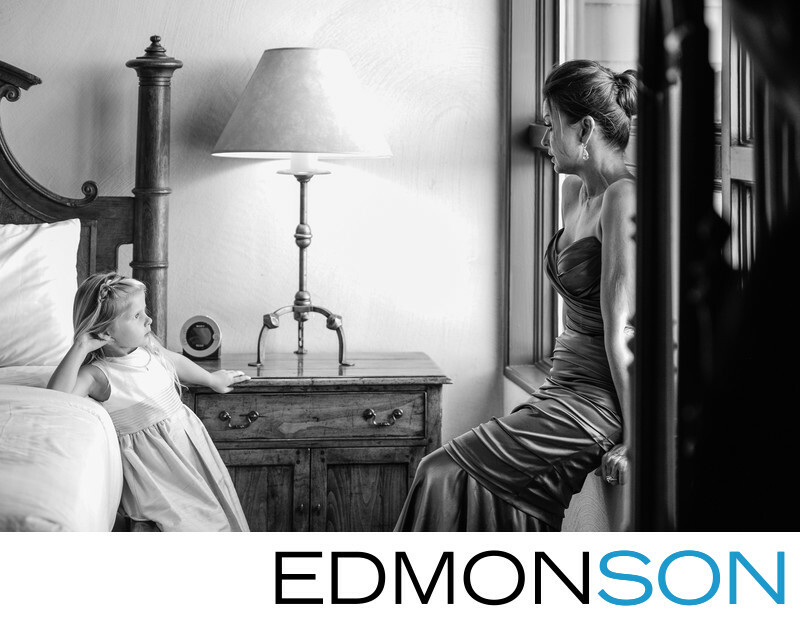 Candid black and white wedding photo shows a young flower girl exchanging an intense look with the Mother of the Bride. Wedding coordination provided by DFW Events at Rough Creek Lodge. 1/200; f/4.0; ISO 1600; 82.0 mm.